Friday, Nov. 16, Ralph’s Rock Diner, Worcester, Mass. 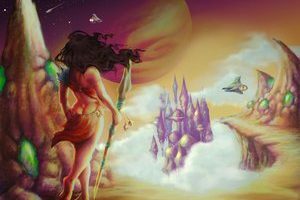 Following the demise of heavy/speed metal quintet Spellcaster, guitarists Bryce VanHoosen and Sebastian Silva, bassist Gabe Franco and drummer Colin Vranizan decided to carry on under a different moniker with a new vocalist. After connecting with Sanctifyre’s Wyatt Howell and welcoming him into the fold, Silver Talon was born. While the speedy riffs and galloping rhythms of Spellcaster are still intact, the band has upped the ante in just about every category, with more complex song structures, intricate solos and lead playing, and added vocal harmonies, overall injecting much more of a U.S. power metal element to the heavy speed proceedings. After recording a couple demos, the band released the Becoming a Demon EP and hit the road for a national tour. Croatia speed freaks Speedclaw were supposed to join them for the trek, but unfortunately visa issues prevented the band from entering the U.S., an all-too common occurrence in the world of heavy metal these days. 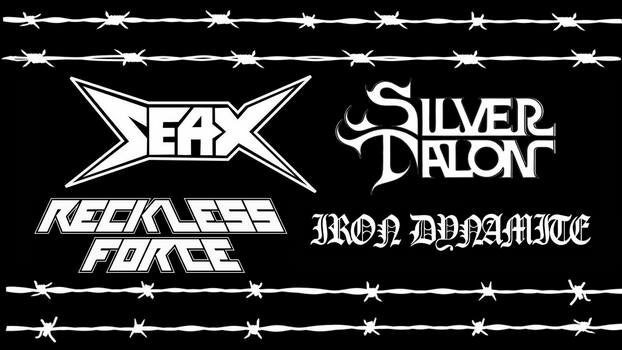 Forging on, Silver Talon has been joined by local bands at each tour stop, which meant a double dose of Massachusetts speed maniacs Seax for back to back shows in Worcester, Mass., and Portland, Maine, in mid-November. The first New England stop took place on Nov. 16 at Ralph’s Rock Diner in Worcester. 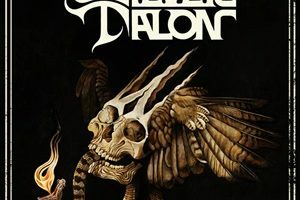 A bastion of heavy metal for bands and fans alike, it was the perfect place to check out Silver Talon in the live setting. Iron Will got the heavy metal train rolling with some hard-hitting, head-banging traditional metal, played with power and precision. 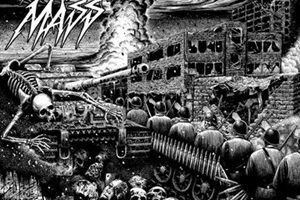 The band features three-fourths of Boston power thrashers Ravage, with Eli Firicano on lead guitar, Nick Izzo handling bass duties and vocalist Al Ravage stepping back from the mic to pound the skins. 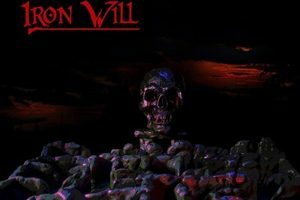 Tony “The Metal Duke” Canillas’ rough n’ ready vocal delivery lends an edge to the driving rhythms and steady riffs that steamroll you like a locomotive. Boston thrash trio Black Mass were up next and laid waste to the Ralph’s faithful. Black Mass plays an unrelenting brand of thrash, unleashing a maelstrom of riffs at break-neck speed with all the grit, dirt and grime of death metal and the raw, dark atmosphere of black metal. Drummer Alex Fewell was an absolute beast behind the kit while bassist Cristiano Lobo and lead guitarist/vocalist Brendan O’Hare doled out a relentless riff assault that didn’t let up until the set was finished, wrecking more than a few necks in the process. The six-string acrobatics were on full display from VanHoosen and Silva, as lightning-fast lead breaks were followed up by shredding solos and pulse-pounding riffs, bolstered by the thunderous bass playing of Noah Hadnutt, who was filling in for Franco on the tour. Although it may have been tough to see the members on stage at times due to an abundance of fog that was backlit with color-changing lights, making for a cool stage effect that added to the power-packed performance, Howell’s piercing, air-raid pipes cut through the mist like a scythe. While Silver Talon was clearly a tough act to follow, Worcester hometown favorites Seax were certainly up to the task. The first time I saw the band four years ago was ahead of their sophomore release, “To the Grave,” and my jaw dropped at the velocity with which the band played and they have only continued to ratchet it up since then. The lethal riff attack from guitar tandem Hel Seax and Mike Bonetti is bolstered by Derek Jay’s ferocious drumming and Cristiano Lobo’s crushing bass, steady as ever. You wouldn’t know he had just played a blistering set with Black Mass earlier in the evening. Soaring over the machine-gun riffs and rapid-fire drums are the ear-piercing screams of vocalist Carmine Blades, who incites plenty of crowd interaction by extending the mic for sing-alongs and gang vocal shouts, and even leapt off stage at one point to get in some moshing action before returning to the stage to finish out the song. The Seax set was heavily focused on the band’s third full-length release, Speed Metal Mania, including the title track alongside crowd favorites such as “Forged by Metal,” “Fall to the Hammer” and “Nuclear Overdose.” The band also treated the crowd to “Killed by Speed,” a new song from its forthcoming album, as well as older cuts from their High On Metal debut, including the title track and set closer “Blade of the Seax,” during which a fan stage dove, face-planted on the floor and finished out the set back in the front row, dazed and bloody but a trooper to the end. The heavy metal blitzkrieg at Ralph’s was such a blast, I just had to experience it again, so the next day I made the nearly 3-hour drive up to Geno’s Rock Club in Portland. Unfortunately by the time I got there, I had missed openers Iron Dynamite. The second band of the evening was rising new wave of traditional heavy metal sensations Reckless Force, hailing from Manchester, N.H. Like Seax, I’ve seen Reckless Force a number of times, and the band has grown in both musicianship and songwriting over the years. Their sound straddles new wave of British heavy metal with U.S. power metal, featuring infectious riffs and plenty of twin guitar harmonies courtesy of lead guitarist Greg Hoyt and lead guitarist/vocalist Sam Pfeiffer, galloping bass rhythms from Paul Lennon and powerhouse drumming from Dylan Lee, who also contributes backing and, at times, lead vocals. The band not only employs multiple genres within its sound, but also keeps things versatile in the songwriting department, crafting mid-paced epic tales, such as “Prophet” and “Black Prince,” which is about the Hundred Years War, along with straight-ahead barnburners, such as “Midnight Striker” and “Full Speed Assault.” The band also dusted off some old classics with “Children of Steel,” dedicated to all the fans who continue to travel far and wide to attend shows night after night, and “Victim of Leather, Whips and Chains” as the set closer. 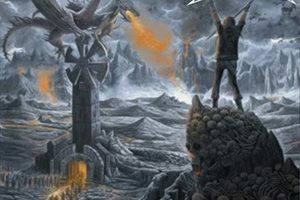 Following Reckless Force was a second salvo of Silver Talon and Seax, and although Silver Talon played many of the same songs as the previous night, including “Warrior’s End,” “Cold Embrace” and “Silver Talon” – this time without the fog – the band was still on fire, inciting raised horns and fists, ample amounts of head-banging and frequent air-guitaring. Whereas Silver Talon stuck to the same setlist, Seax mixed it up a bit, adding “Leather and Spikes” and “Need for Speed” to the set. At the Ralph’s show, Seax unleashed a trio of covers with “Tormentor,” “Evil Invaders” and “Rapid Fire.” And while the band only had time for one cover at Geno’s, they made it count with another blistering version of “Rapid Fire,” which saw Pfeiffer jump up on stage to join Blades on the Judas Priest classic. Silver Talon is not to be missed. Although as a band they are a young entity, there’s no question its members are industry veterans and masters of their craft, putting on an arena-sized show in a small club setting. More time together on the road and the stage will only serve to strengthen their tight musicianship and potent delivery.